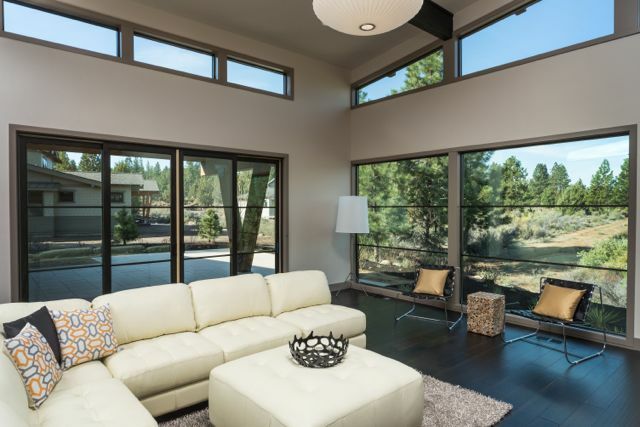 The Reinecke-Lande Residence is an award-winning NW Contemporary home in the Glenn Neighborhood at Tetherow, just west of Bend, Oregon. Sleekly modern with warm styling, we were careful to build this home to be energy efficient. It is certified Earth Advantage – Silver. Originally built as a spec home, we were awarded the 2013 COBA Builder Award – Best Architectural Design for this home.